It's only a catalogue. A beautiful, modern, interactive catalogue. Pershing Yacht is an Italian company founded in 1981 active in shipbuilding with current production of eight yacht models. The first “Pershing 45”, like every epoch-making success story, it was the beginning of a true revolution that spawned many attempts to copy it. 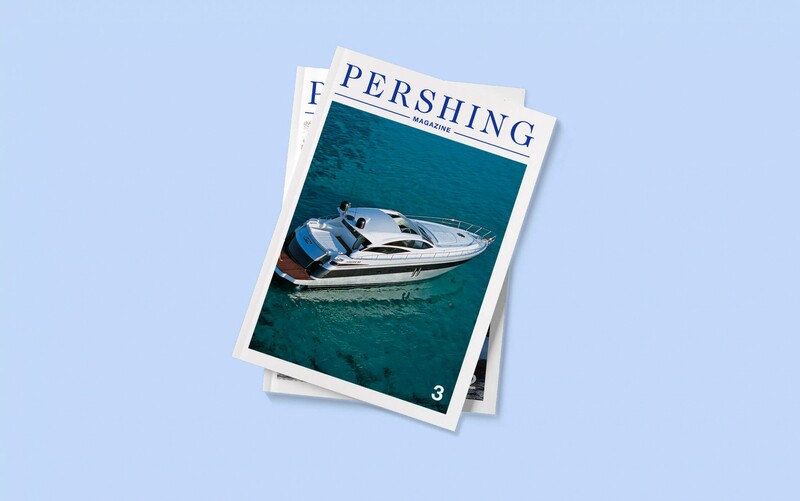 Since 1998, Pershing is part of Ferretti Group, a world leader in designing, building and marketing luxury motor yachts. The yachts created by Ferretti Group have always been a synonym of quality, excellent performance, but also sophisticated design and unique appeal. 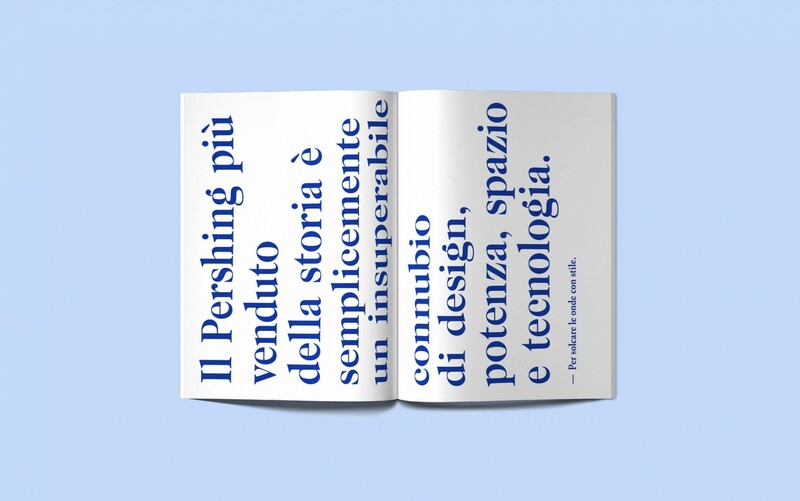 I had the pleasure of working for this company that is a model of technological innovation and Italian genius in the shipbuilding, creating a new online and offline catalogue. 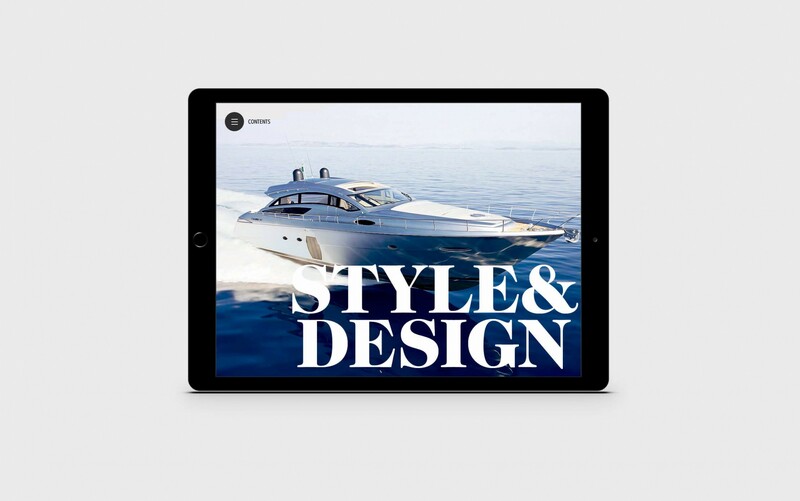 On iPad people can interact discovering interactive points, infographics, key facts and videos.